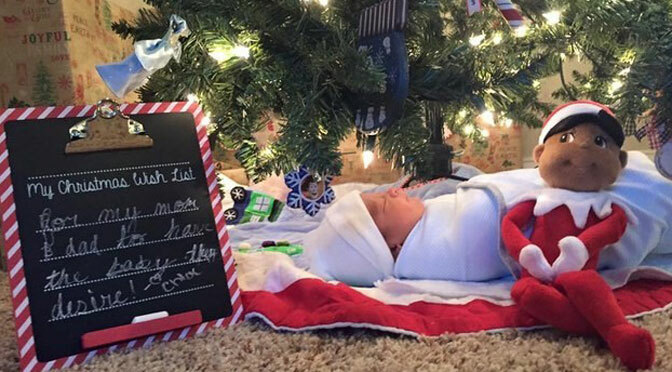 For three young sisters, Christmas came a bit early this year when they discovered a new baby brother underneath their Christmas tree. Their mother, Courtney Solstad, shared an adorable video of the children on Facebook last week, which was reported on by Inside Edition. Solstad and her husband Steve didn’t tell their daughters that they were adopting the baby boy the girls had been wishing for. Instead, they decided to surprise them. These girls got the Christmas surprise of a lifetime: A new adopted brother! And it’s absolutely adorable. The girls were overcome with emotion and crying at the sight of their new baby brother. One even exclaimed that she was going to wet her pants, while her younger sister jumped for joy. Adoption is the perfect gift from a woman or couple experiencing an unplanned pregnancy for couples who want to grow their families through adoption. When one family is unable to care for a child, another one can. In fact, for every baby who is adopted, 36 couples are still waiting to adopt.